Well the day is finally here! The day we have been waiting for all week long (for some all year); Halloween! 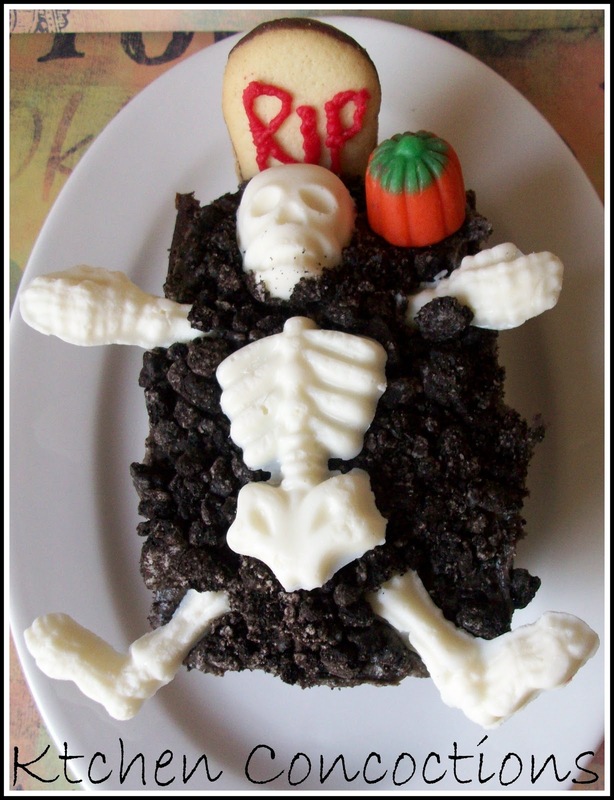 If you need some last minute Halloween goodies check out all the spooktacular treats I made all week as part of “Ghoulish Grub” week on Kitchen Concoctions! Happy Trick-or-Treating! Skeletons and graveyards go together like witches and broomsticks, and are so spooky and creepy! They also make cute mini cakes! Halloween couldn’t exist without candy corn! And yes you either love it or hate it! But whatever your feelings are on this classic holiday treat, try it in frosting form for a new twist on this old tradition. Eyeballs you can eat?!? 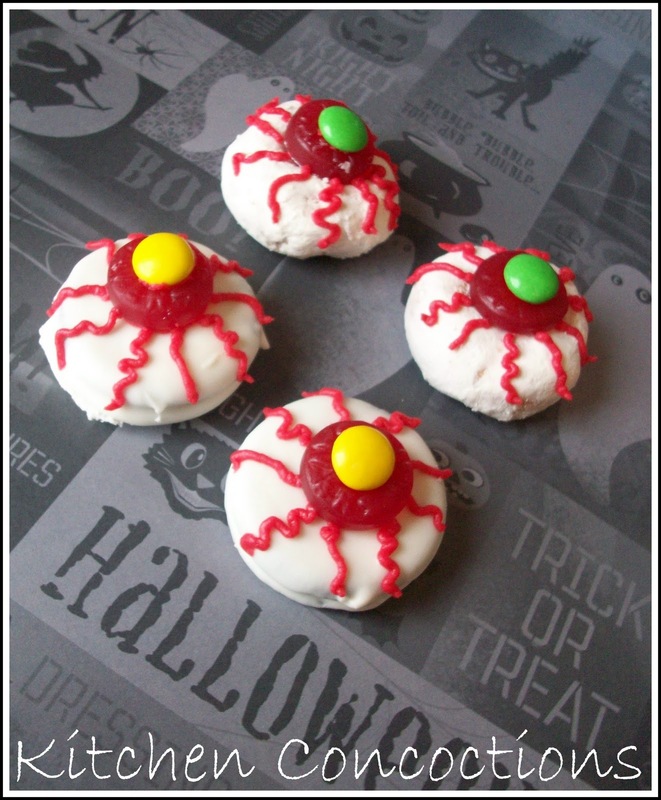 Yes my friends these gruesome cute treats are as easy as can be and are a treat that even the kiddos can make! This chocolate cake with cookies n’ cream frosting is to die for! 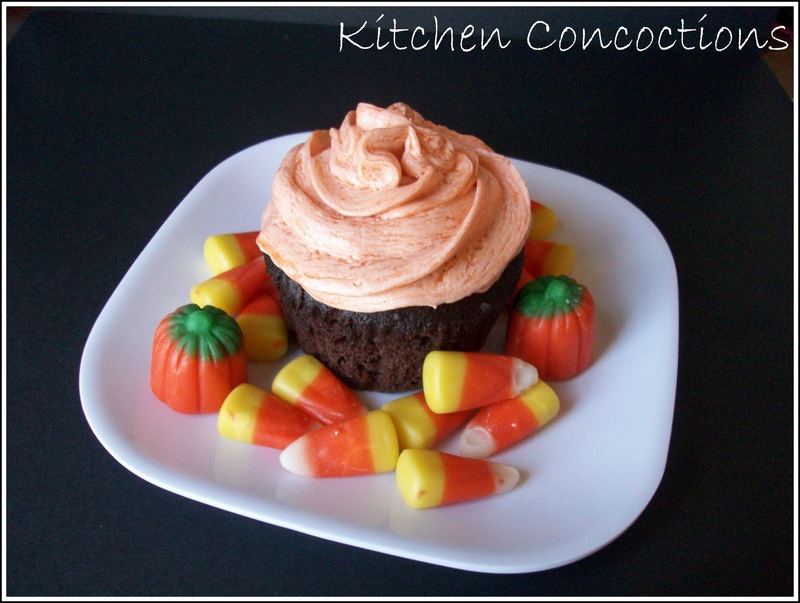 Please make this cake and frosting combo stat (it can even be made year round)! 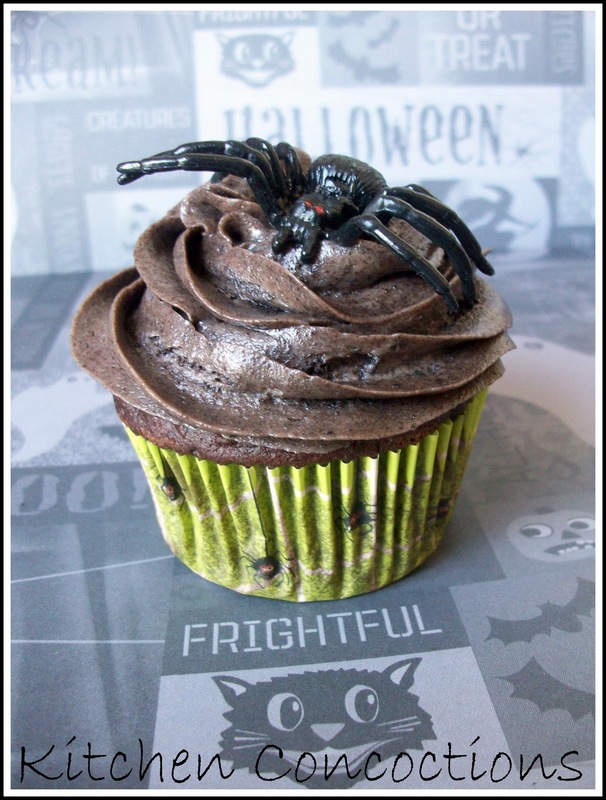 Top with a fun spider ring and you’ve got an amazing cupcake with a Halloween souvenir too! Besides actually trick-or-treating, pumpkin carving is one of the last fun things enjoyed by many during this bewitching holiday! 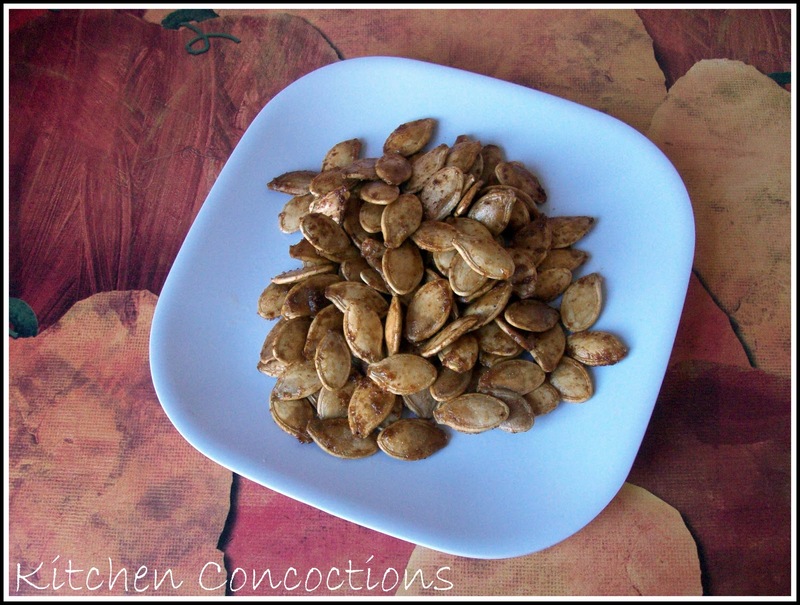 But don’t let all those pumpkin seeds go to waste… roast them up to have a tasty treat! Hope you all have a safe and happy Halloween! Still trying to figure out a last minute costume for myself! Anyone got any ideas?